Come and have fun singing for your lungs! The Warblers is a singing group in East Lothian and Midlothian for anyone with a chronic lung condition. We started in 2015 with some seed funding from the British Lung Foundation following research showing that regular group singing can improve the physical and emotional health of people with COPD. All songs are taught by ear in a fun and relaxed environment – no singing experience needed. We believe that everyone can sing. We sing a wide range of songs from around the world including Scottish, African and Gospel. 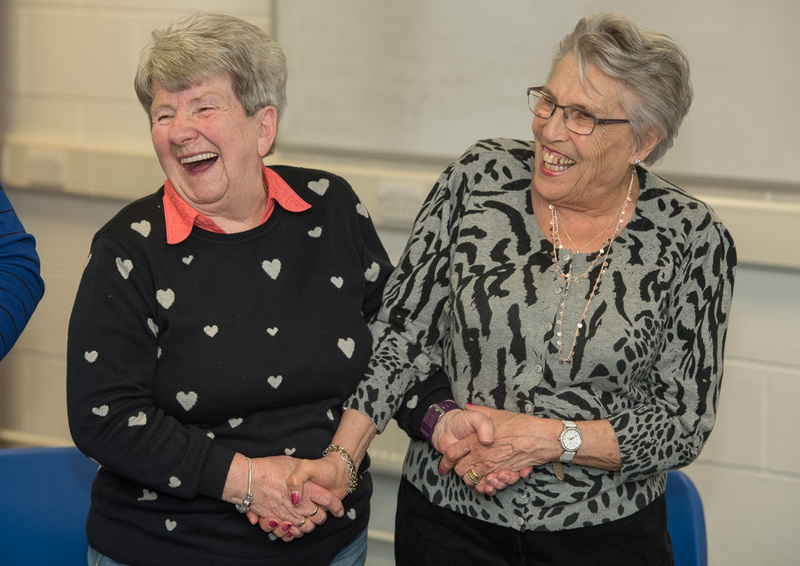 We meet once a week in Musselburgh at the Musselburgh East Community Association (MECA) and in Newtongrange at St. Anne’s Sheltered Housing and are very welcoming to new people at any time. Please see side panel for dates and times. Many thanks to Jon Davey for many of the photos on this site. Where did you hear about The Warblers?